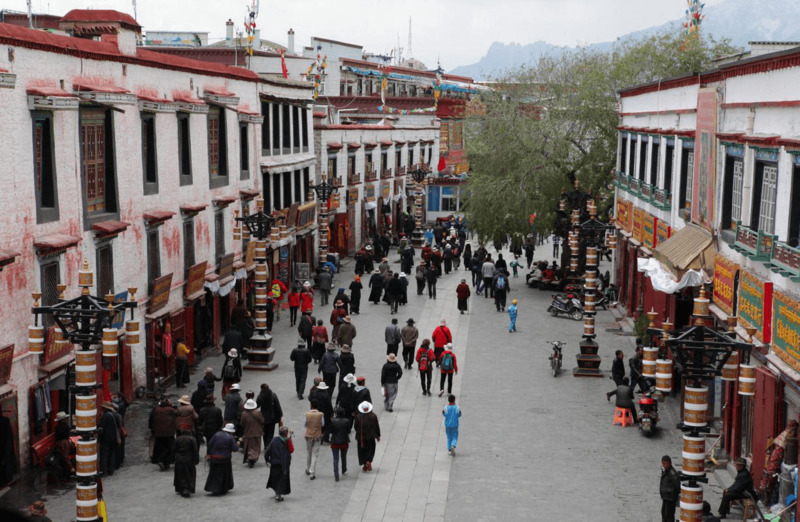 Rather than be one street, Barkhor Street is actually a mixture of streets and a square in the oldest section of the Lhasa, the capital of Tibet. 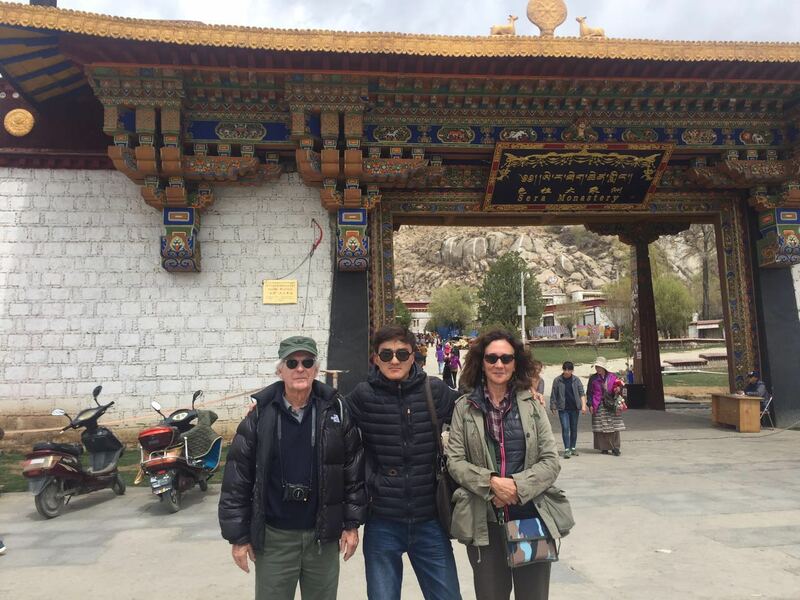 In front of Jokhang Temple, the street originated in the clockwise route where Buddhist pilgrims used to circumambulate Jokhang Temple, it’s the most holy temple in Tibet. With thousands of pilgrims treading this route every day for over a thousand years, the street is of deeply profound meanings. In order to fit traditional Chinese style, this street was been rebuilt with flat stones. You can see some of the original stones in Jokhang Temple. The flagstones are smooth, polished by pilgrims’ prostration over many years. 2-meter-high conical incense burners billow clouds of smoke, and the air is filled with the smell of juniper. Over years and years, side streets, lanes and alleys were added to the Barkhor Square. Today the pilgrims are still circumambulating the temple and the surrounding area has become a major tourist destination. Tourists could join in the circuit if they would like to. 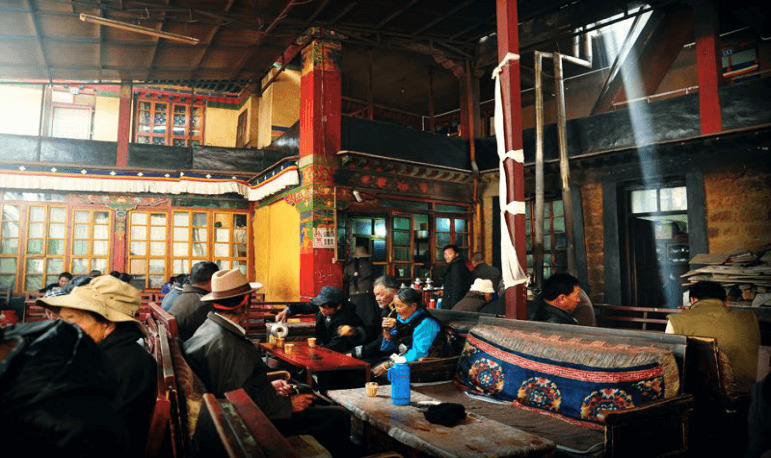 What’s more, it is the best place to visit traditional Tibetan architectures. The Barkhor Street attracts beggars and pilgrims. For beggars, they come here to seeking alms, and for pilgrims seeking money for return home and support their own life in Lhasa. More sophisticated form is sutra chanters, for a small sum of money, they will recite sacred texts. Besides, As for other pilgrims, they will arrive here on pilgrimage from far-flung regions, such as Kham and Golok areas, pilgrims mutter mantras when they are circumambulating. You might see nomad women with long tresses smeared yak buttter as well as senior women leading their sheep circuit the street. In addition, you will see Khampa from eastern Tibet with tassels of red yarn braided through his hair, and a dagger on his belt. 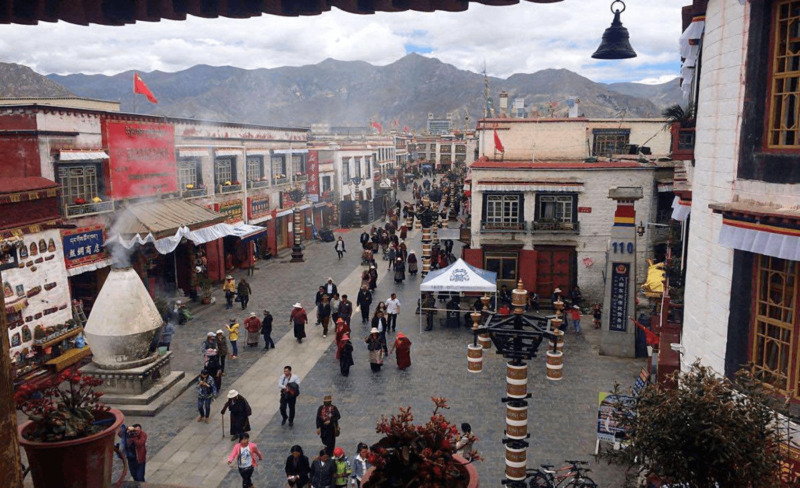 Barkhor Street is been called the "Window of Tibet", and it is famous for its shopping. There are not only delicate stores teemed with Tibetan souvenirs and households, but also some mobile stalls filled with bags of Tibetan music tapes and other interesting goods. Small shops, and vendors (most local people earn their living on Buddhism by selling kata scarves, prayer-flags and prayer-wheels to the pilgrims) also sell some other Tibetan souvenirs such as prayer wheels, the tradition Tibetan long-sleeve 'chuba', Tibetan knives, jade jewelry, Buddhist statues and other religious artefacts. It is also the place to find 'Thangka' or Tibetan scroll paintings with themes of religion, history, literature, etc. It is a real wonder land for tourists, with small markets and temples decorated it, and local people playing billiards. You can explore here on foot or ride a bicycle. Being here, it seems like that you take a time machine to somewhere is centuries or even a millennium ago, catching glimpses of what life likes there. humanities, you can stay at a inn on this street, such as Eight Gallery Inn. Barkhor Street is a vibrant place with market, pilgrim circuit and ethnic culture. 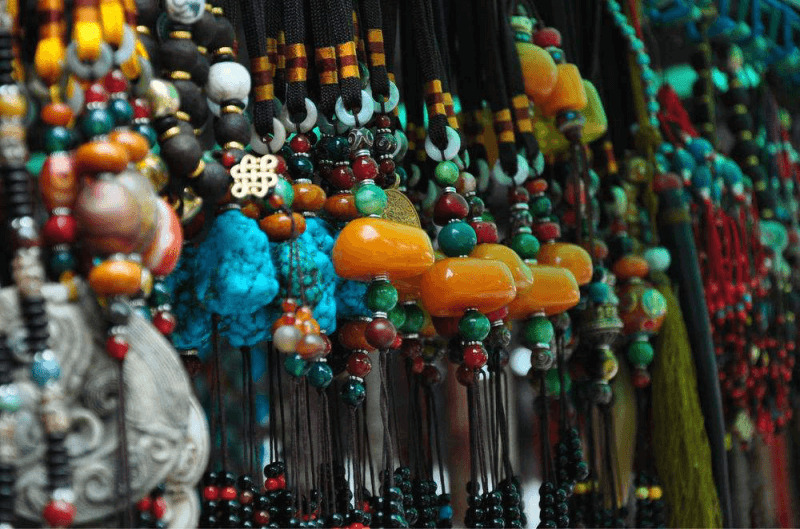 You can take pictures as many as possible of the various Tibetan jewelry in stores and on vendors on the street. 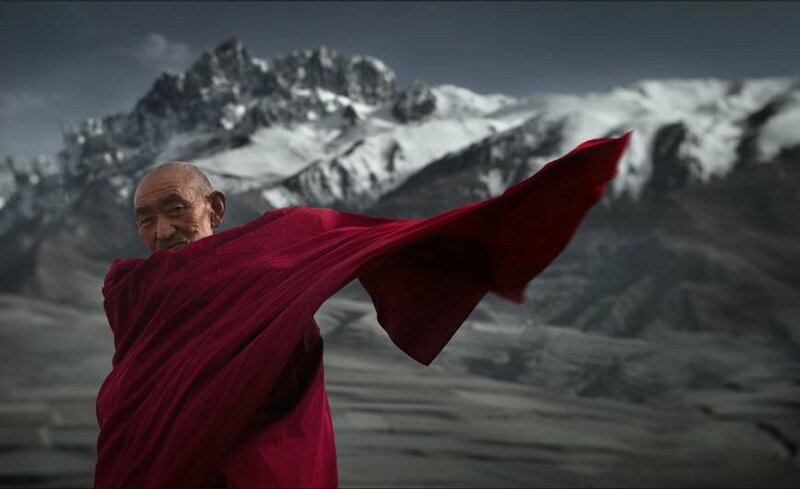 What’s more, you will be able to see Buddhist pilgrims making prostration and circuiting clockwise the street spinning their prayer wheels and chanting sutras; you will also see Tibetan people from different areas wearing various clothes. Thus, it is a pretty good place to take photos of all kinds of sights and people. For instance, you can photograph like citizens, tourists, pilgrims and monks, all of them constitute an awesome picture. 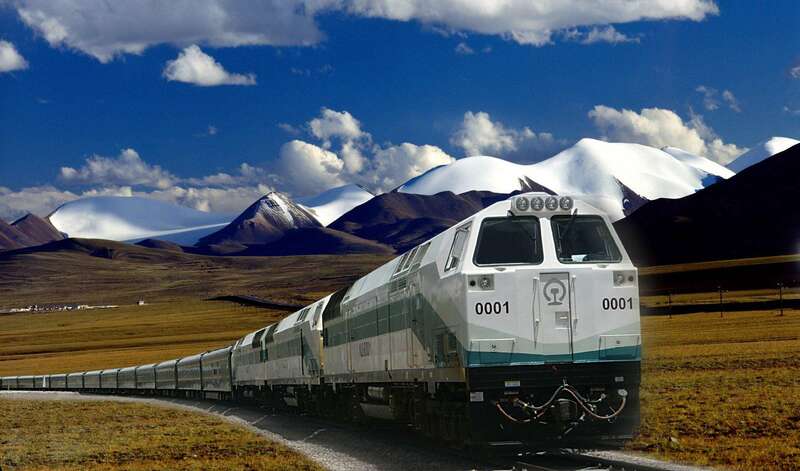 Furthermore, you will see a tremendous of fantastic sights much more than your expectation. 1. You should better walk in a clockwise direction while your strolling. 2. Bargain with the stall keepers or store keepers as you buy things, since the prices of the same goods are vary from stalls to stalls. 3. Be a little bit hurry while you strolling the street, because the shops here will close if there is not much business to do. You may miss some wonderful stores if you linger on some other stores. 4. 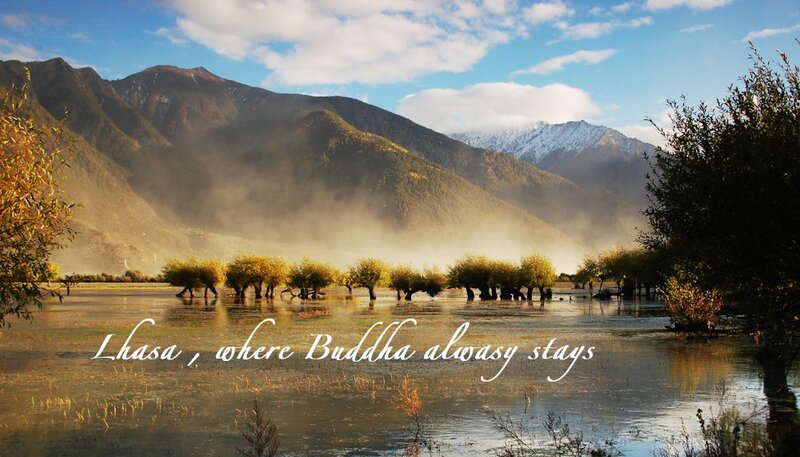 You will be given a favorable discount if you are the first or the last buyers, since Tibetans believe the first and the last buyers could bring them good luck.